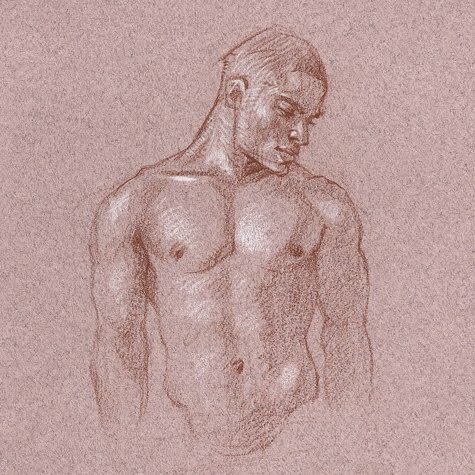 Vince - Study#2. 2009. Prismacolor on toned paper. h7 x w5 in. Vince - Study#1. 2009. Prismacolor on toned paper. h4.75 x w4.75 in.